When a user on your account shares a roadmap with you, they can choose to add you to the roadmap as an Editor or a Viewer, depending on how they'd like you to collaborate on the roadmap. 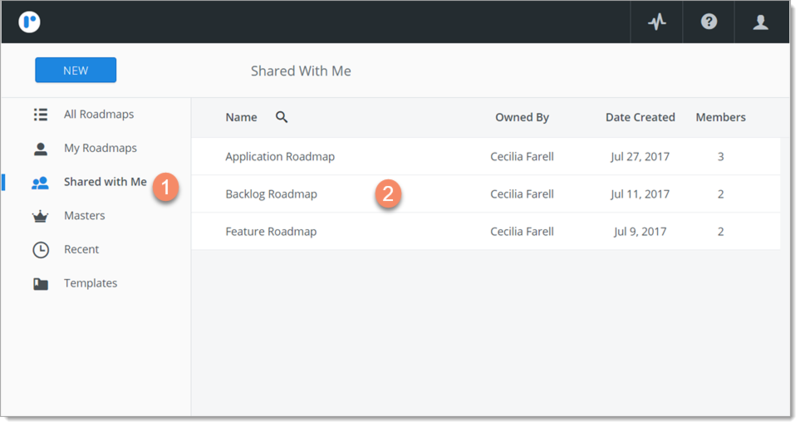 Editors and Viewers have different access permissions to the shared roadmap, so how you've been added will determine what you can do on the shared roadmap. 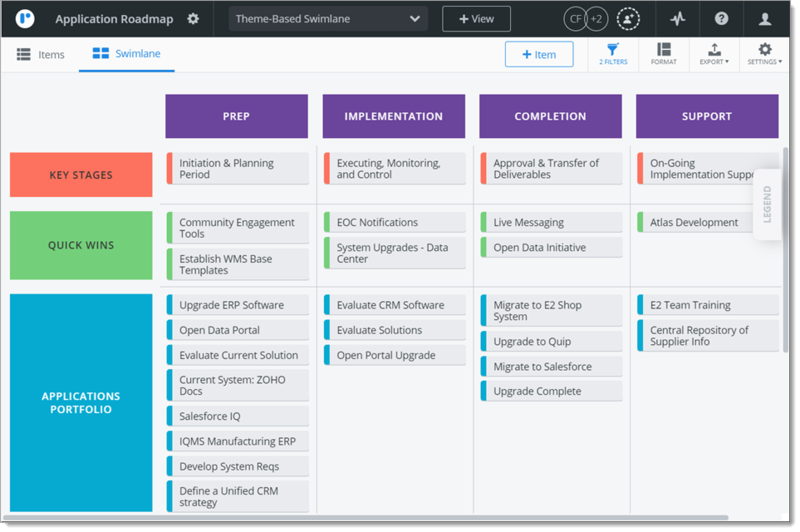 You can view and access all the roadmaps that have been shared with you from your Roadmap Home. To go to your Roadmap Home, click the Roadmunk icon on the top-left corner of your screen. 1. On the Roadmap navbar, click Shared with Me. 2. On the Shared with Me panel, double-click the roadmap you want to access. What can you do on a shared roadmap? What you can do on a shared roadmap depends on whether you've been added as an Editor or a Viewer. To be added as an Editor, you must be a Collaborator. To be added as a Viewer, you can be either a Collaborator or a Reviewer. TIP: If you're not sure what your user role is or you want a different user role, speak with the Roadmunk Account Admin in your organization.